It’s an area so remote, it has been dubbed The Lost World by scientists. The only to reach the remote Nakani and Muller mountain ranges is by boat, plane/helicopter, or foot. The remoteness of the area is one of the reasons it is a hotbed for animal researchers, looking to uncover some long-lost critter or another. A recent expedition by Conservation International uncovered nearly 200 new awesome-looking species, including 2 mammals, 24 frogs, and over 100 new insects. 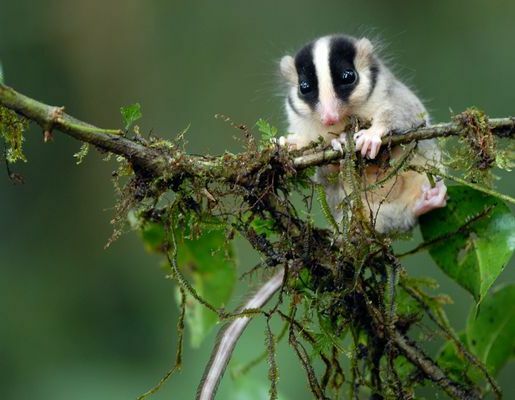 Among the awesome new species, my favorite is probably the above-pictured feather-tailed possum, who proves that possums can live anywhere and everywhere. Another noteworthy critter is the awe-inspiring trumpet-nosed bat (bats are awesome in general). While a lot of these species have been seen previously, most of them are completely new, unnamed creatures only described in rumors. Now, the rumors can be proven as real. Unfortunately, the expedition uncovered no new species of Guinea pigs, but maybe next time!